Homeschool Hangouts: Everything that Goes! Parent/child activities designed to complement concepts taught in homeschool curriculum, grades K-12. Discounted admission for homeschool families, ($5/person). 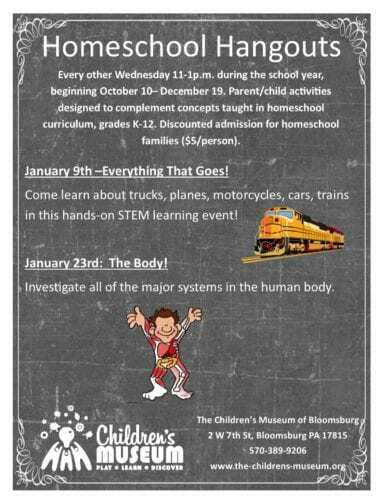 On January 9th come learn about trucks, planes, motorcycles, cars and trains in this hands-on STEM learning event!